The expert team of our company offers a wide array of premium quality Stomach Treatment Drugs to our esteemed clients. We procure these products from certified and reliable vendors and offer them at market leading prices. Our range includes Esomiz 40mg, Esomiz 20mg etc. 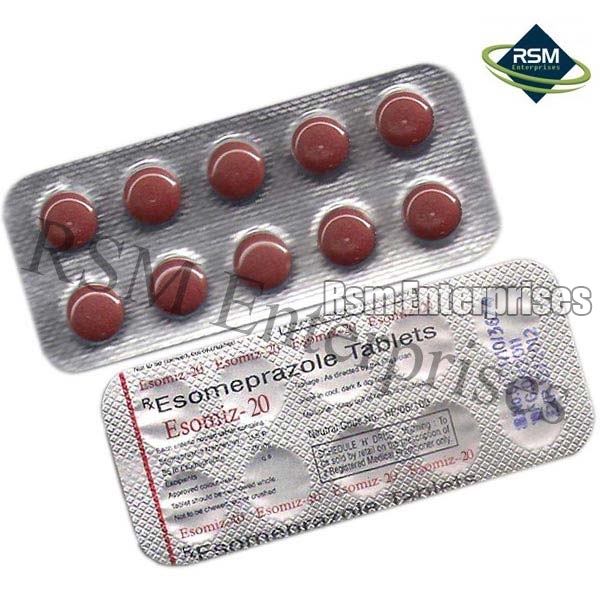 Esomiz-10/20mg (Esomeprazole) is a Proton Pump Inhibitor (PPI) used to treat heartburn, or gastroesophageal reflux. It may be used in combination with two antibiotics to treat helicobacter pylori (h. Pylori infection and duodenal ulcers. It may also be used to treat other conditions as determined by your doctor. Take Esomeprazole capsules orally. Follow the directions on the prescription label. Swallow the capsules whole with a glass of water; do not crush, break or chew. The capsules can be opened and the contents sprinkled on applesauce or yogurt, given with fruit juices, or swallowed immediately with water. Do not crush the contents into the food.Esomeprazole works best if taken on an empty stomach at least one hour before a meal. Take your doses at regular intervals. Do not take your medicine more often than directed.